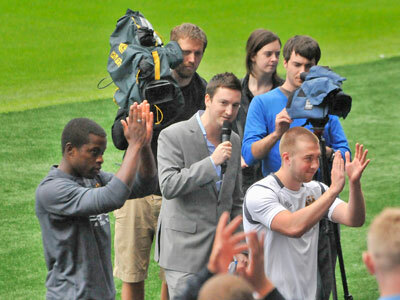 After about 45 minutes the players waved goodbye .. until tomorrow! 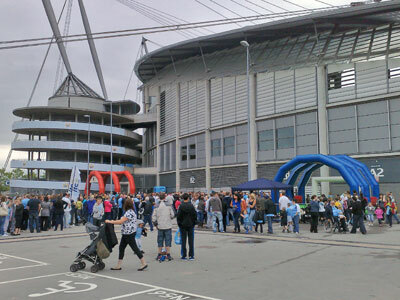 Joe Mercer Way now has a new look - extremely blue - looked at bit OTT to me. 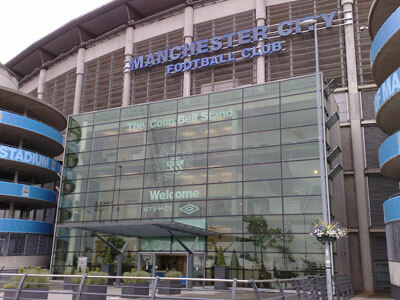 Perhaps it would have been better to have a large Man City painted in blue so it could be seen from the air!. It was very sad to hear about the death of Ken Barnes on July 13th. He was 81. He played 283 games and scored 19 goals in his career for City from 1950 to 1961. It is amazing that he was never picked for England and he must be the best uncapped wing half in English football. In the late 50's and early 60's I used to pop into a cafe on Wilmslow Road near Platt Lane Moss Side for lunch. Many of the City players ( including Ken Barnes , Cliff Sear, George Hannah etc etc ) also eat there - so many football stories. Jerome Boateng - aged 21 a defender - came from Hamburg for whom he played 75 times. Played for Germany in the World Cup and has ten caps. Aleksandar Kolarov - aged 24 plays left back - came from Lazio for whom he played 82 games and scored 6. Has 15 caps for Serbia. -good free kick taker. Yaya Toure - aged 27 - midfielder - Played 74 times for Barcelona scoring 4 and 53 times for the Ivory Coast. Younger brother of Kolo Toure and City skipper. .
Other transfers about to happen include James Milner from Aston Villa and Mario Balotelli from Inter. While Milner played and scored for Villa on the opening day of the Premier League the transfer of Balotelli went through OK but not in time for him to play against Spurs. No doubt he will make his league debut against Liverpool. 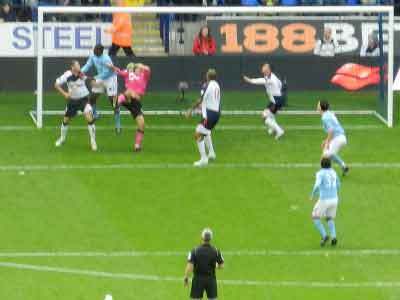 Hero of the goalless Spurs away game was undoubtedly Joe Hart. I have been fortunate to have seen many fine keepers in the colors of Manchester City - Frank Swift onwards - but I cannot remember seeing such a wonderful performance , especially in the first half when he alone kept Spurs at bay. 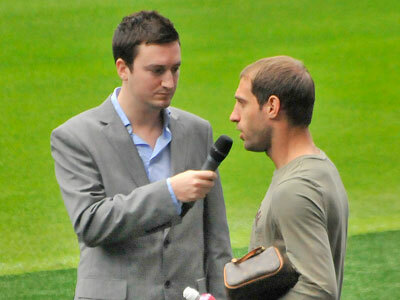 There was much pre-match talk concerning the choice of number one goalkeeper. Hart played really well on loan last season for Birmingham and Given was not at his best last season so for me it was a no brainer- Hart should be our first choice keeper and yesterday he turned in a supreme performance. Bossing the box and saving from all distances and angles. 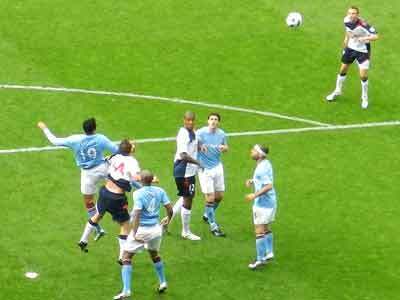 Spurs could have been several goals up by half time as City were generally slow to the ball and outplayed. City were better in the second half and had some chances and the passing was better but it will take some time for City's newcomers to get to grips with the pace and fury of the Premier League. 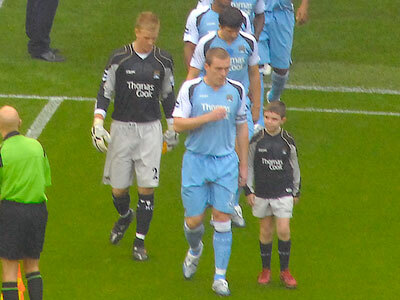 Joe Hart made his league debut in a goalless draw against Sheffield United on October 14th 2006. 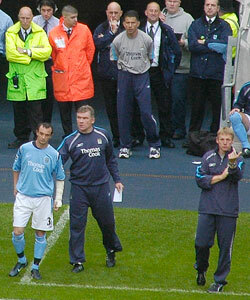 Here he is following skipper Richard Dunne onto the pitch and punching away a cross from Gillespie, his first save. With a couple of weeks to go before the end of the transfer window City now have finalized the move of James Milner from Aston Villa with Steve Ireland going the other way as part of the deal. 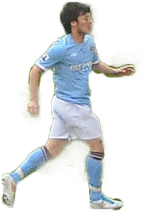 Stephen Ireland played a total of 177 games for City scoring 23 goals. He has been involved in some controversy over the years the main one being the 'Grandma Gate' incident in September 2007 when he dropped out of the Eire international side. His form has fluctuated from being 'Player of the Season' in 2008-2009 to only average last season. As James Milner joins the City family Craig Bellamy is off to join Cardiff City on loan for the season. Santa Cruz and Jo are probably next in line to join the departure queue. It would not surprise me if we had another player coming in before September. Very sad news today when it was announced that Malcolm Allison was no longer with us. 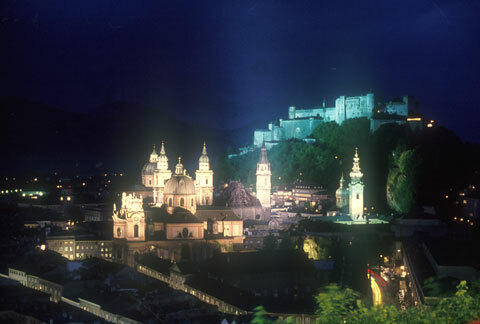 He was 83 years old and had been ill for some time. 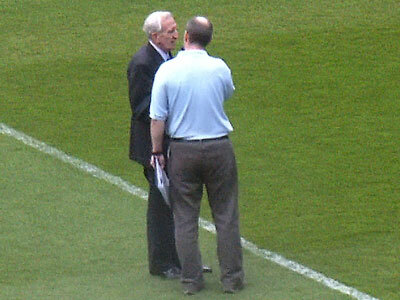 He joined Joe Mercer in 1965 as assistant manager and his innovative training techniques and football knowledge undoubtedly helped City to their most successful time in their history. 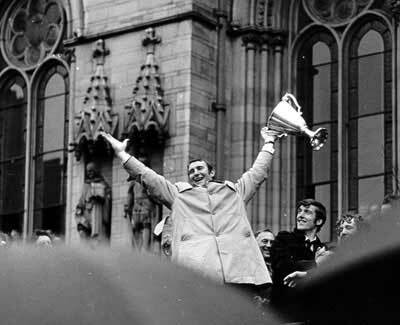 He took over the club in 1972. 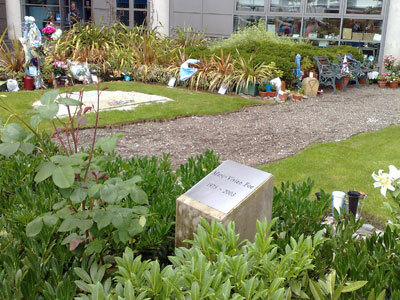 He will be sadly missed. 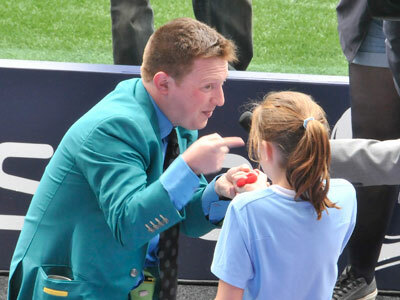 Football is a funny old game and being a City supporter is rarely boring! During the past few months we have been treated to some remarkable fluctuations in form, watchability and results. 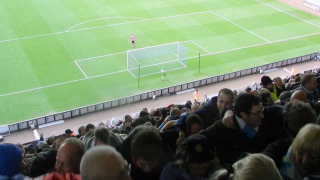 Anyone neutral supporter watching both the Birmingham home game and Fulham away game would have been amazed to learn that it was almost the same City side in both games. After a dull lifeless performance at home against a very average Birmingham side they turned out a quite brilliant show at Fulham. A glance at the Premier League table will tell you that City have scored more goals away from home than any club in the league and certainly more than we've managed at home. In fact only Wigan have scored fewer goals at home! Since the Liverpool win home goals have been very sparse and with teams coming to COMS to defend with often 10 and 11 men behind the ball it is going to take a great deal of skill and patience to break down visiting defences. I think the key is to score early - easily said than done - . It does mean City would have to pass as quickly and accurately as they did in the first half against Fulham from the first whistle and play with more passion. With other results going our way we really do have a chance of finishing in the top four this season. What a difference there is when our fullbacks are allowed to attack. I know it means more responsibility for the defensive midfielders but the extra pressure on the opposing defence pays dividends. At last the transfer of Edin Dzeko from Wolfsburg has gone through. The 24 year old Bosnia striker cost about 27 million pounds and I am sure he will be a hit with City supporters and could well seal our ambition to be in the Champions League next season. He's big - over 6ft 3 inches and scores goals for fun with either foot! Will this signing will speed up the departure of Adebayor and Santa Cruz I wonder ? The injury to Balotelli is of concern and I really don't think Jo is an adequate stand-in upfront. Bridge looks like going to West Ham on loan and there have been offers for SWP. Joe Hart has cemented his place as both City and England number one. He has saved us on several occasions -especially against Spurs and Arsenal with only the occasional blip - the latest against Leicester in the cup. His distribution sometimes leaves a lot to be desired but he is young and he will get better. The back four have done well considering the changes that have had to be made at times. 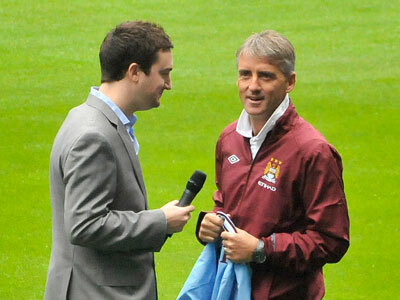 To concede so few goals so far this season is due to good organization and I am sure Mancini's Italian influence. 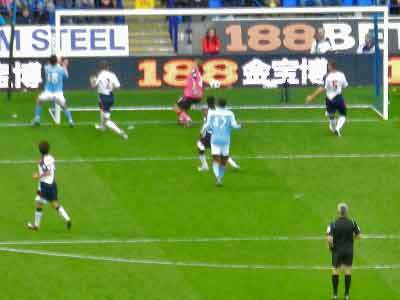 Up until the tie at Leicester I had felt much more secure when the opposition got a corner than I did 18 months ago. 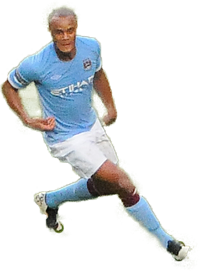 At Leicester we missed the influence of Kompany who had a great start to the season. 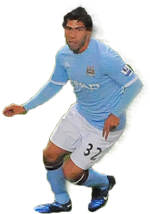 His partnership with Kolo Toure and recently Lescott has surely been one of the best in the country. The fullback position is rather different. 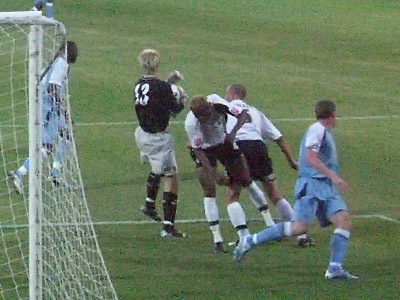 Boateng, Richards, Kolarov and Zabaleta have had their good and bad moments so it is difficult to decide which is the best pairing I don't think Boateng has quite reached the form he showed for Germany in the World Cup but Zabaleta has been a real workhorse playing in several positions and rarely letting City down. In front of the back four are Barry and De Jong the latter having a particularly good few months including leading the team out on a few occasions. Patrick Viera had a few games and didn't let the side down though his career is coming to an end and he might retire in the summer. On the creative side David Silva has been magnificent. Not since Ali Benarbia have we had a player with such natural ability to read a game so well. Alas Benarbia came to us at the end of his career. Silva took a few games to settle to the pace and thrust of the Premiership but now he can split defences and help out in midfield when necessary. I hope his present injury will not rule him out for too long. I am sure James Milner has much more to give. Perhaps he has been playing too wide. Yaya Toure had a few lone ranger solo efforts with mixed results but looked spectacular. With his high salary we expect many more good days than bad. Adam Johnson showed us he could beat opponents with ease and he scored a few useful goals but perhaps is not consistent enough with the final ball and he found it hard to start all games. I must admit I am a bit puzzled as to the selection of Jo in a few games. He goes down too easily and acts like a child at times. He is hardly a world beater. 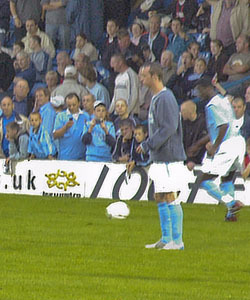 Shaun Wright-Phillips had a few chances but now he is not the player he was a few seasons ago and often disappointed. Carlos Tevez is our top scorer and has had a great first half. He did miss a penalty against Blackpool but I think we can forgive him that blip. Now he will have the support of Dzeko so I expect more goals in the coming months. Sad news about the death of Nat Lofthouse one of the legends of football. He was 85. I was fortunate to watch him on many occasions including the 2-0 win for Bolton over United in the Cup Final in 1958. Today I was saddened to hear about the announcement of the death of Neil Young aged 66. He had been ill with cancer for some while. A gifted wing forward he will be mainly remembered for his winning goal against Leicester City in the Cup Final in 1969. He scored 6 goals in the first 4 games I saw him play - against Ipswich (3-0).Arsenal (3-2 all three).West Brom (3-1)and Spurs (6-2) in 1961-62 season. 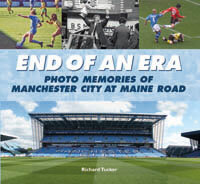 A local lad born in Fallowfield he scored a couple of vital goals in the wonderful Championship winning performance away at Newcastle in May 68 so he is leaving many wonderful memories for City supporters. I have a signed copy of his autobiography - Catch A Falling Star - so he will never be forgotten . The battle for a Champions League place continues with City just ahead of Chelsea and Spurs in the race for 3rd and 4th place. With a possible semi-final spot on the horizon providing we can deal with Reading in the 6th round. We should not take this game for granted. 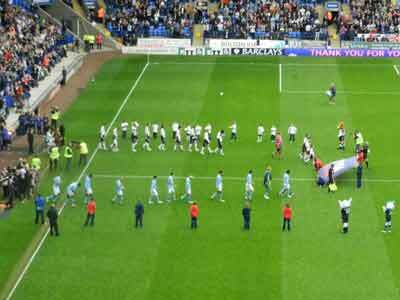 Recent home clashes with Reading include a defeat 2-0 in February 2007. 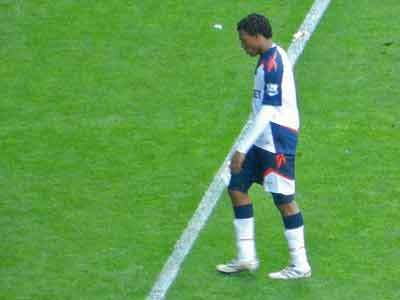 The team that day was - Weaver, Richards, Dunne, Distin, Trabelsi, Barton, Ireland, Dabo, Beasley, Vassell, Samaras. Pics at - www.rfract.com/citfeb07.htm Weaver was injured this game and a certain Sturridge came on as sub for Samaras. How times have changed! Next season we beat them 2-1 in November 2007.The team that day was - Isaksson, Corluka, Dunne, Richards, Garrido, Ireland, Hamann, Fernandes, Petrov, Elano, Mpenza. 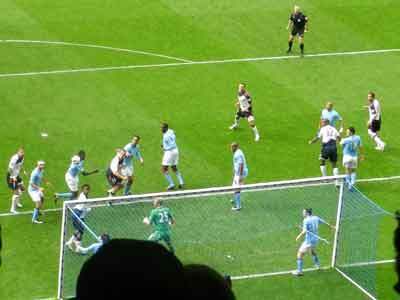 City were in third position at the time. 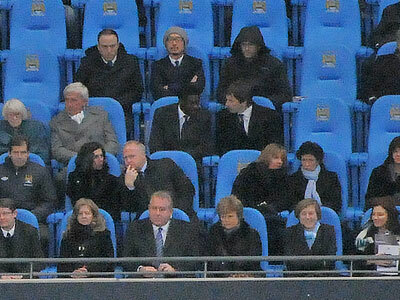 Bad news for City was the failure of Kolo Toure to pass a drugs test. Apparently he took some of his wife's diet pills! He was in the stand at the recent Wigan home game. So starts Dietpillgate! 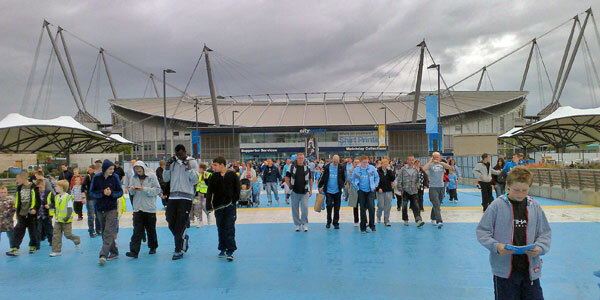 So City meet the other team in Manchester in the semi-final of the FA Cup at Wembley and there was a rush for tickets on the morning of the 26th March when tickets became available. Unable to get through on the phone for an hour I eventually decided to drive to the ground and join the long orderly queue inside the ground. 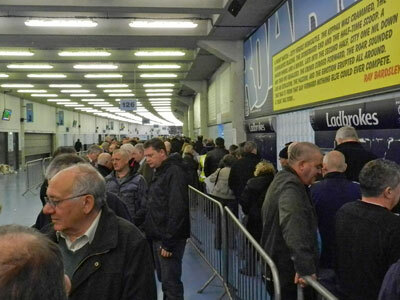 The club had made toilet and catering facilities available but it was still a long wait for the eagerly awaited ticket. - a good 5 and a bit hours! If anybody at the start of the season had told me I would have 2 trips to Wembley by the end of the season I would have been very pleased indeed and so to see City win a Final and come away with their first bit of silverware for 35 years was really wonderful. The atmosphere was amazing and as far as I could see there were no problems between the sets of supporters. The Final was my 21st visit to the Stadium , the first being in 1954 when I paid the princely sum of 2/6d ( 15p ) to watch Bishop Auxland play Crook Town in the amateur Cup Final. 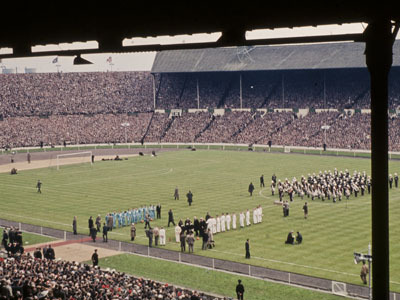 These images I took many years ago in the 50's when I was a steward at Wembley. They show the open standing areas This was probably an England game at the end of the 1958-59 season. 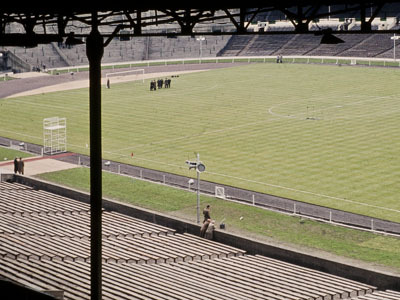 I was in the RAF at the time and we had the opportunity of being a temporary steward at Wembley but had to do all four games at the end of the season - the amateur Cup Final (Barnet v Crook 2-3) the Cup Final ( Notts F v Luton 2-1) and 2 England games ( v Scotland - 1-0 and Italy 2-2) Gosh how boring was that! 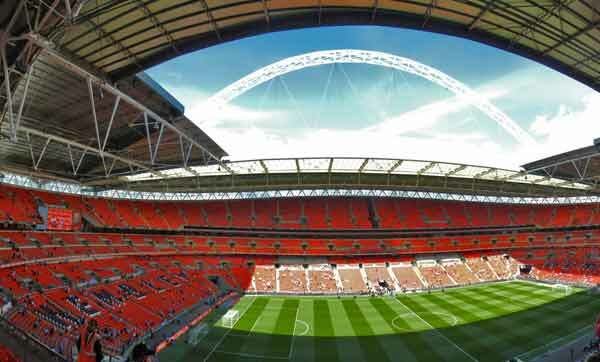 This is the new Wembley and if you pass your mouse over it you'll get the HDR version! Having collected the Cup City now look like finishing 3rd in the Premiership thus qualifying for next seasons 'Champions League . Not much between the top few and there were several recounts to check the final result! City have made their first capture of the summer agreeing terms with Celta Viga for their young prodigy Denis Suarez Fernandez. He is 17 and a midfielder of some talent. Apparently he was at the recent Stoke league game. He has played 6 times or Spain's under 17 team including their recent game against England. 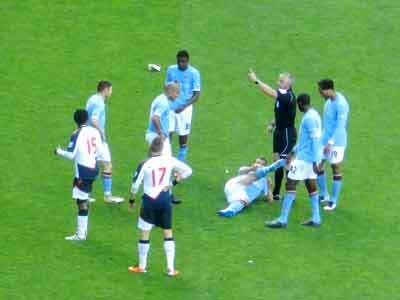 Zabaleta complete with bandage came in for Richards at the last minutes as he warmed up with the subs! Boyata started but it was a strong City side. 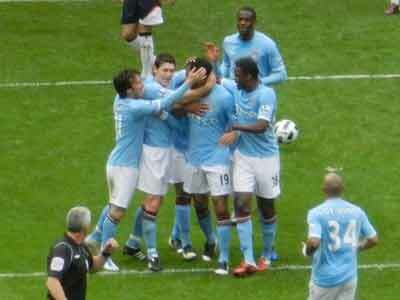 ex City player Daniel Sturridge is sent off for a high tackle on Dzeko. 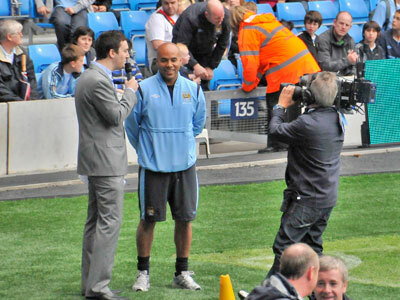 The City supporters gave him a fond farewell! 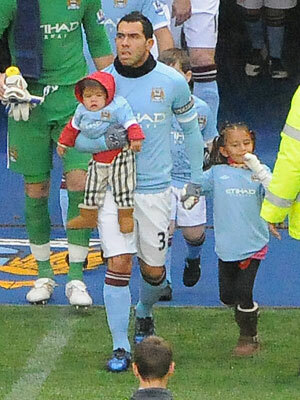 A last minute look at Carlos Tevez! Will he still be with us next season? 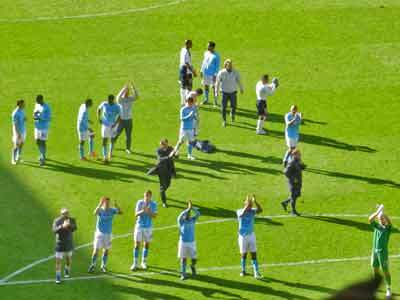 At the final whistle the City players came across to give their thanks for the loyal away support. 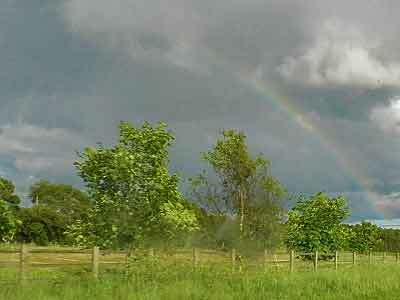 As I got near home after the match there was a huge rainbow in the sky which was a great sign for the future! We have Champions League football to look forward to as well as a tilt at winning the Premiership and maybe another trip to Wembley? 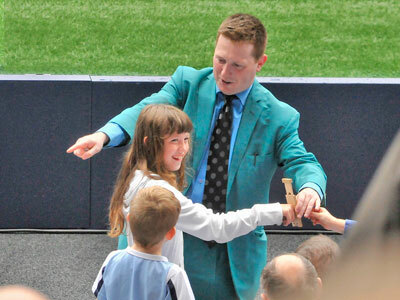 Great times ahead for City supporters of all ages. 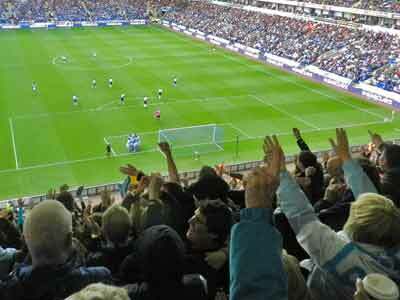 My first away game of the season and it was pretty chilly at the top of the Reebok Stadium with a high wind spoiling the game at times. It was a fairly comfortable win for City especially with Arsenal slipping up at Fulham. With Chelsea losing we finished level on points with them which was an excellent finish to the season. As usual the defence was pretty solid and we were generally on top throughout. Shame Carlos Tevez could not have scored and now we wait with baited breathe to see if he is going to stay. However as he is on a long contract there are not many teams who could afford him anyway. I wasn't going to bother taking any pics today but could not resist a few to end the season.